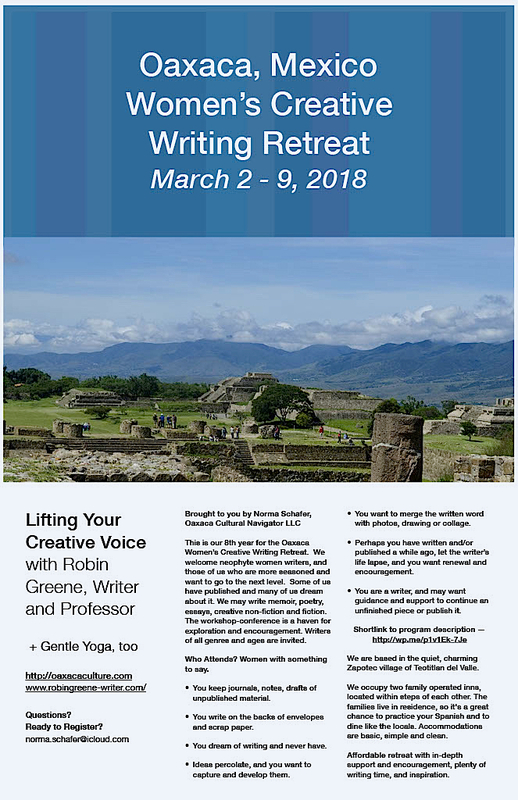 This entry was posted in Creative Writing, Creative Writing and Poetry, Travel & Tourism, Workshops and Retreats and tagged class, conference, creative writing, fiction, memoir, Mexico, non-fiction, Oaxaca, personal essay, poetry, retreat, workshop. Bookmark the permalink. How much does the retreat cost? What does it include?